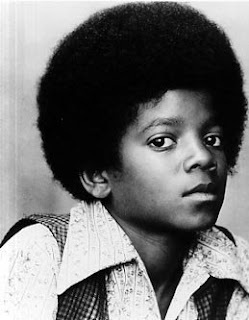 I had initially not planned on writing anything on the passing of Michael Jackson. After all, I haven’t followed his career for more than twenty years, and my place as a fan is limited to mostly loving his work in the seventies. Like everyone else, I was truly shocked when I heard about his death Friday and I felt bad for him, his family and his long-time fans. However, over the weekend something happened that I hadn’t anticipated. While watching the endless tributes to him, specifically the marathon of music videos VH1 Classic offered, I found myself unbelievably and surprisingly moved by the memory of the man and his music. I will even admit that last night at midnight as VH1 Classic closed their tribute with the full version of John Landis’ masterful video for “Thriller”, I was actually moved to tears. Love or loath him, Michael Jackson was a major part of America’s landscape. I think he was one of our last icons who truly weaved his way into every aspect of our culture, and his passing means much more than the death of just another celebrity. Like Elvis and John Lennon before him, Michael Jackson was a part of our lives, and I honestly don’t know of any artist since that has had such a profound impact. I think the thing that moved me so much about the video tribute I watched throughout the weekend was that for the first time in over two decades it was possible to just concentrate just on his music. There was no mention of the many controversies that plagued Jackson throughout his life, it was just the songs and viewing his life this way made him look positively triumphant. Everything through Thriller is still jaw-dropping, from the magical early Jackson 5 sides (I defy anyone to watch the young Michael Jackson and not be moved by the sheer power of his talent) to “Ben” to, the still stunning Off the Wall, to the larger than life Thriller, the album he never quite recovered from. I was also struck by the quality of some of his later tracks, although it is clear in retrospect that as early as the mid eighties something is starting to go wrong. The exuberance and sheer joy of his music was disappearing by Bad, and in its place was something oddly hidden and extremely depressing. By the time of his final single, the quite beautiful “One More Chance”, there is something downright defeated about Michael Jackson, and I found myself having to turn away from it despite the fact that his glorious talent was still in place. The thrill of just remembering Michael Jackson’s music will sadly fade in the upcoming weeks as no doubt new allegations, accusations and confessions will appear. 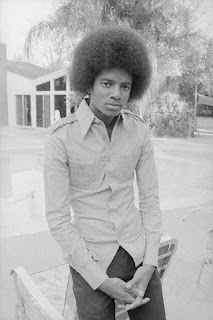 I suspect in the long run though that Michael Jackson will be viewed as a victim…a man who wanted nothing more than to recapture the childhood he had stripped away from him by his father. For now, I remain very moved and quite shook up by his passing. I wish things would have worked out differently for him…I really do. I was hoping to get together a solid post for Flickhead's wonderful Chabrol Bog-A-Thon that is currently running, but some prior commitments as well as this lingering bloody back injury have kept me from it. So, as an excuse to link to it at least and pay tribute to one of my favorite films, this weeks tribute in stills is to the mighty Les Biches. Enjoy and please check Flickhead's terrific running tribute to one of cinema's greatest masters. Just a quick reminder that Radiator Heaven's Michael Mann week started today, so head over to J.D. 's fantastic spot all week for all kinds of quality Mann posts. Seems a perfect way to me to prepare for Public Enemies, Mann's newest epic which finally hits theaters this week. th. Jean-Jacques will be on hand for the festival and the film's include the US premiere of the great Roselyn and the Lions, Mortal Transfer, Diva, two short films and The Moon in the Gutter. 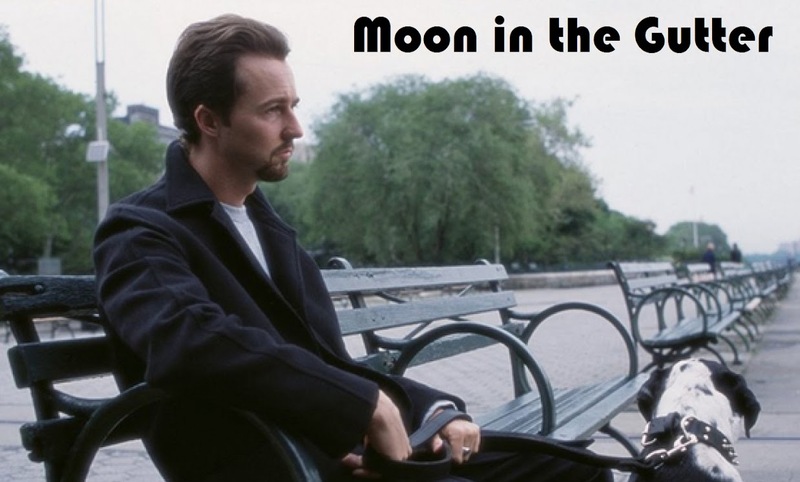 The press release calls The Moon in the Gutter "terrifically atmospheric and vastly underrated", two thoughts that everyone reading here will know that I highly agree with. The release also points out that The Moon in the Gutter has seen "its reputation...grow with each passing year", and I hope this spot and my Kinski blog have at least helped slightly with that for a few folks. I really wish I could be at this event, and if anyone reading does go a report would be most appreciated. One of the year's most interesting discs is the soon to be released Tokyo! from Liberation Entertainment. This anthology film from iconic directors Michel Gondry, Leos Carax and Bong Joon-ho received a great deal of acclaim this past year during its theatrical and festival run, and it's arrival on DVD on June 30th is a welcome one. Joon-ho's segment "Shaking Tokyo" offers up his first work since his The Host caused a great deal of attention back in 2006 from the critics and the public. Gondry's "Interior Design" was shot just after his extremely endearing and undervalued Be Kind Rewind, while Carax's "Merde" is his first work in nearly a decade since the intriguing but flawed Pola X.
Tokyo! features a great international cast including Julie Dreyfus, Ayako Fujitani and Denis Lavant. The DVD features a half hour documentary on each film, as well as additional featurettes containing more interviews. A full report of the disc and a review of the film is coming soon. Sharon Tate loved Thomas Hardy's novel Tess of the Dubervilles dearly, and related to Hardy’s doomed heroine in an extremely personal way. Shortly before her horrific murder in 1969, Sharon gave her husband, famed director Roman Polanski, a copy of the novel in the hopes that he would film it one day. 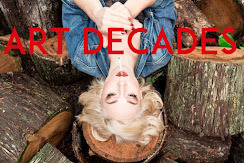 Ten years after she was the victim of one of the most brutal and senseless crimes of the century, Polanski (who was in the shadow of yet another personal tragedy) released his version of the work his beloved late wife had felt so completely connected to. He would indeed set the mood of the entire film just after the opening credits with the stirring and sweet, "To Sharon", and Tess remains one of the most personal works from one of the world’s great directors. Polanski had kept Thomas Hardy's influential and important book with him throughout the seventies. After Tate's murder he knew that he had to film the novel in tribute to her memory and spirit, but the trick was finding an actress that would be able to portray the difficult and heartbreaking role of Hardy's most iconic character with the grace and passion it called for. Polanski first caught a look at young Nastassja Kinski in the mid seventies and befriended her and her mother. Throughout the seventies he was Kinski's mentor, friend and among the most influential people in her life. Tess actually wouldn’t be their first collaboration, as they had shot an intriguing pirate themed photo shoot for Vogue magazine in 1976 that would help set Kinski’s career in motion. The photos from the session would be among the best taken of the young Kinski and would foreshadow one of Polanski's dream projects, the ill-fated Pirates that he would eventually film in 1985. Nastassja, or Nastassia as she was known in this period, had appeared in almost half a dozen films before Tess and had already made international waves with her work in Hammer’s To The Devil a Daughter and in the extremely interesting Stay as You Are. There is no question that Tess was Kinski’s big break though and she knew it. She also knew that in accepting the part she would be fulfilling a very personal vision for Polanski. The young German actress knew that Polanski, “had wanted to do it with his wife”, and that indeed in many ways, “Sharon was Tess (and) she was always there, anyway, with him." It was a big challenge for the young actress, who had already spent her life in the shadow of her legendary father Klaus, but Kinski was up for it and she spent an exhausting but dedicated two years preparing for the part. Kinski said of the prep time, “Roman came along and gave me Tess, it was like…it gave me such dignity, you know what I mean? He would be very strict with me and send me to school. And then when we did the movie he said, ‘I really want you to do this for me, because I wanted to do it for my wife and it means so much to me. But the only way you can do the film is to show you’ll learn the accent, So I’m going to send you to England for four, five, six months and when you come back we’ll do the test.’ He gave me a lot of respect. It was all very serious. He was a very severe person, in the best sense.” By the time the cameras began rolling, Nastassia Kinski had become Tess and it remains one of the key roles in her career. Filmed on location in France throughout a nine-month period just after his masterfully intense and terrifying The Tenant, Polanksi's Tess is his most delicate and hauntingly beautiful work. It is also his most human work and, even though Polanski is still someone recognized as a master of thrillers and the macabre, he brings an incredibly warm and decent aura to Hardy’s monumental novel. Kinski fell into the difficult role with a remarkable grace. She later said, “I’ve always dreamed of being a person like her. She’s not spoiled by the society she moves through. She still stays untouched. She goes through everything for love.” The entire project can indeed be viewed as a work of love, told by a director who by all accounts should have been totally shattered personally and professionally by 1979. Everything about Tess works, from the remarkably precise pace that never drags in its three hour running time, to the majestic score by Philippe Sarde that manages to place the viewer firmly inside the spirit of Hardy’s unforgettable heroine. Anthony Powell's costume design and the art direction of Jack Stephens are both astonishing attentive in their detail, and the look of the film is perfectly realized even though the cast and crew suffered a major shock when beloved cinematographer Geoffrey Unsworth died halfway through production, leaving Ghislain Cloquet to step in and do the near impossible task of finishing the film. Watching Tess is like watching an extremely complicated machine with hundreds of tiny parts that are working perfectly to compliment the other and, throughout it's mammoth running time, the complex machine never once slips. Sarde’s aforementioned score has perhaps never gotten all the attention it deserves. After the success of their collaboration on The Tenant, Polanski asked Sarde to score Tess and it would turn out to be perhaps the finest soundtrack from the famed composer. Sarde's Oscar nominated score is a moving and at times sweeping work that stands very much apart from a typical period piece soundtrack. There is something remarkably fresh and modern sounding about the work, but it never feels out of place with Polanski's images from the past. While the behind the scenes players all could constitute great stories themselves, it is the story on screen that remains the most endearing aspect of Tess. For those who might not be familiar with Hardy’s book or any of the filmed adaptations, Tess tells the story of the young Tess Durbeyfield whose drunken father finds out that their poverty stricken family is actually descended from the wealthy and proper D'Urbervilles. Tess is sent to claim kin to, what is thought, to be among the other final remaining D'Ubervilles, and her life after is systematically and tragically torn apart by virtually every man she meets, and the society that she was unfortunate enough to have been born in. At the core of Tess are the ideas of fate and destiny. A particularly long shot early in the film of Kinski wandering down a seemingly endless path points to the film’s key preoccupations. The beautifully rendered shot is one of the most impressive and ominous in all of Polanski's awe-inspiring canon and there isn't any question, for Tess or the audience, that she is walking into another world and there won't be any turning back. Throughout the film's running time we are continually presented with the idea that Tess is being led by some sort of unspoken destiny, and that no matter how hard she fights it there is finally not going to be an escape for her. Tess is also one of the most masterful films ever made in dealing with the problems of class. One of the great qualities of the screenplay, credited to Polanski, Gerard Brach and John Brownjohn, is that our leading character is ultimately somebody who doesn't care about position, only respect. Everyone around Tess on the other hand is very much obsessed by his or her position. Her family is jealous of the higher-ups and want nothing more than to be among them, no matter if it costs them their daughter. The higher-ups in the film are all portrayed as cold and obsessed with their status, and how much it means to be able to have their way over the lower classes that surround them. Tess is caught in the middle of this struggle, but as a character all she wants is to love and be loved. Tess is the one truly honorable character in the film, and she is the one character who is constantly getting run over by the harsh system her life has been destined to. Nowhere in the film are these issues of class, confrontation, and the split between men and women more noticeable than in the gut wrenching sequence where Tess takes her dead child to the town's priest asking for a church burial. After explaining that she had baptized the baby by herself, and having the priest tell her that she was right in the eyes of God, she is still turned away from the church because the father is afraid of the town's reaction. Here Polanski presents us with a so-called holy man who cowers more towards the very man made rules of class and sexism rather than the wishes of the God he proclaims to serve. Kinski is stunning in this sequence and Polanksi's unnerving closeup of her face is among the greatest moments in either one of their careers. Tess is also very much a film about nature and our relation to it, specifically how Tess remains part of her God made surroundings while society slips further away. Kinski is often photographed as not only a character on a landscape but as essentially belonging to it. It is no coincidence that the first close up of her in the film is a shot of her in front of a sunset. The rising and setting sun will play a part throughout the film and it is almost always shot with Kinski somewhere in the frame. There is something almost mystical about Tess in these moments, and whether she is speaking about laying in the grass and transporting herself to the sky to a table full of confused onlookers, or having a wild deer approach her in the words, Tess is very much in tune with the world that the men around her are only looking to pillage. Of course one of the most heartbreaking aspects of the film is that, much like the land that the men will ultimately destroy, Tess is equally savaged and finally left very much behind to pay for the men’s crimes against nature and humanity. Polanski's direction of the film is flawless. This doesn't feel like a film about the past, this feels like a film actually filmed in this past. Tess is filled with some of the most beautifully composed shots of his career, from the close ups of Kinski whistling to a group of caged birds, to her staring through a window (both of which recall Sharon Tate in The Fearless Vampire Killers) to the final shots of the vast and foggy landscape surrounding Kinski as she sleeps atop Stonehenge. Tess might not be the greatest film Polanski ever made, but it is without question the most beautiful. Tess was a film that nobody thought had a chance, and yet when it came out it was one of the most acclaimed and talked about works of Roman Polanski's career. Nominated for six Academy Awards (including picture and director) and winner of three, Tess was a smashing success. Despite the Golden Globe, Kinski was shamefully ignored at the Oscars, one of the great oversights in the Academy’s history. Critical reactions were almost universally unanimous in their praise. Many not surprisingly focused on Kinski’s performance. John Coleman would write in The New Statesman, “In her first starring role Nastassia Kinski, whose occasional resemblance to the young Ingrid Bergman is startling, does more than might be expected of her: even the West Country accent works a lot of the time...she is far more than a pretty face. ", while Tom Milne in the Monthly Film Bulletin would sum it up succulently with, "Kinski (was very much) the right raw material for Hardy's Tess." Perhaps more than anything else, the critical reaction to Kinski in Tess highlights the problem that would haunt her throughout the rest of her career, namely that critics and the public couldn’t get past her beauty no matter how good she was. How ironic that many of the harmful attitudes present in Tess towards women would remain in effect in 1979, and as well in 2009. The film made its debut on VHS in the mid eighties in a full screen transfer and, outside of a Japanese widescreen disc, this was the only way to see it for two decades. Thankfully it finally got its due several years in a gorgeous widescreen special edition dvd that features an engrossing ninety minute documentary on the making of the film. Tess is one of Roman Polanski’s key films and one of the great cinematic meditations on fate, destiny, class struggle, sexism and redemption ever shot. 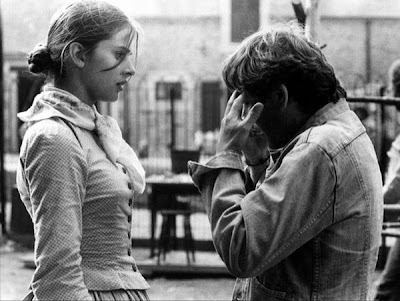 The teaming of Polanski and Kinski was one of the great partnerships in modern film and while it is regrettable that they have never worked together again, perhaps it is right as they would have been hard pressed to top Tess. Tess, outside of being one of the most powerful and moving films in modern cinema, stands as a great tribute to the still much missed Sharon Tate. For those who are aware of the film and Polanski’s history, it is hard to watch Tess today without occasionally flashing on those oh so haunting home movies the staggeringly beautiful Tate looking so unbelievably happy with what should have been a wonderful life still in front of her…the work of Polanski, Kinski, Sarde and everyone involved with Tess begins with these images of Sharon Tate, and the film remains a breathtaking and haunting tribute to her.